Hugo was insulted by the most powerful critics in France. He put into the preface of a play "his sling and his stone" by which others might slay "the classical Goliath." 1 THE DRAMA contained in the following pages has nothing to commend it to the attention or the good will of the public. It has not, to attract the interest of political disputants, the advantage of the veto of the official censorship, nor even, to win for it at the outset the literary sympathy of men of taste, the honour of having been formally rejected by an infallible reading committee. It presents itself, therefore, to the public gaze, naked and friendless, like the infirm man of the Gospel—solus, pauper, nudus. Not without some hesitation, moreover, did the author determine to burden his drama with a preface. Such things are usually of very little interest to the reader. He inquires concerning the talent of a writer rather than concerning his point of view; and in determining whether a work is good or bad, it matters little to him upon what ideas it is based, or in what sort of mind it germinated. One seldom inspects the cellars of a house after visiting its salons, and when one eats the fruit of a tree, one cares but little about its root. On the other hand, notes and prefaces are sometimes a convenient method of adding to the weight of a book, and of magnifying, in appearance at least, the importance of a work; as a matter of tactics this is not dissimilar to that of the general who, to make his battlefront more imposing, puts everything, even his baggage-trains, in the line. and then, while critics fall foul of the preface and scholars of the notes, it may happen that the work itself will escape them, passing uninjured between their cross-fires, as an army extricates itself from a dangerous position between two skirmishes of outposts and rear-guards. These reasons, weighty as they may seem, are not those which influenced the author. This volume did not need to be inflated, it was already too stout by far. Furthermore, and the author does not know why it is so, his prefaces, frank and ingenuous as they are, have always served rather to compromise him with the critics than to shield him. Far from being staunch and trusty bucklers, they have played him a trick like that played in a battle by an unusual and conspicuous uniform, which, calling attention to the soldier who wears it, attracts all the blows and is proof against none. Considerations of an altogether different sort acted upon the author. It seemed to him that, although in fact, one seldom inspects the cellars of a building for pleasure, one is not sorry sometimes to examine its foundations. He will, therefore, give himself over once more, with a preface, to the wrath of the feuilletonists. Che sara, sara. He has never given much though to the fortune of his works, and he is but little appalled by dread of the literary what will people say. In the discussion now raging, in which the theatre and the schools, the public and the academies, are at daggers drawn, one will hear, perhaps, not without some interest, the voice of a solitary apprentice of nature and truth, who has withdrawn betimes from the literary world, for pure love of letters, and who offers good faith in default of good taste, sincere conviction in default of talent, study in default of learning. In truth, several of the leading champions of “sound literary doctrines” have done him the honour to throw the gauntlet to him, even in his profound obscurity—to him, a simple, imperceptible spectator of this curious contest. He will not have the presumption to pick it up. In the following pages will be found the observations with which he might oppose them—there will be found his sling and his stone; but others, if they choose, may hurl them at the head of the classical Goliaths. This said, let us pass on. Let us set out from a fact. The same type of civilization, or to use a more exact, although more extended expression, the same society, has not always inhabited the earth. The human race as a whole has grown, has developed, has matured, like one of ourselves. It was once a child, it was once a man; we are now looking on at its impressive old age. Before the epoch which modern society has dubbed “ancient,” there was another epoch which the ancients called “fabulous,” but which it would be more accurate to call “primitive.” Behold then three great successive orders of things in civilization, from its origin down to our days. Now, as poetry is always superposed upon society, we propose to try to demonstrate, from the form of its society, what the character of the poetry must have been in those three great ages of the world—primitive times, ancient times, modern times. In primitive times, when man awakes in a world that is newly created, poetry awakes with him. In the face of the marvellous things that dazzle and intoxicate him, his first speech is a hymn simply. He is still so close to God that all his meditations are ecstatic, all his dreams are visions. His bosom swells, he sings as he breathes. His lyre has but three strings—God, the soul, creation; but this threefold mystery envelopes everything, this threefold idea embraces everything. The earth is still almost deserted. There are families, but no nations; patriarchs, but no kings. Each race exists at its own pleasure; no property, no laws, no contentions, no wars. Everything belongs to each and to all. Society is a community. Man is restrained in nought. He leads that nomadic pastoral life with which all civilizations begin, and which is so well adapted to solitary contemplation, to fanciful reverie. He follows every suggestion, he goes hither and thither, at random. His thought, like his life, resembles a could that changes its shape and its direction according to the wind that drives it. Such is the first man, such is the first poet. He is young, he is cynical. Prayer is his sole religion, the ode is his only form of poetry. This ode, this poem of primitive times, is Genesis. By slow degrees, however, this youth of the world passes away. All the spheres progress; the family becomes a tribe, the tribe becomes a nation. Each of these groups of men camps about a common centre, and kingdoms appear. The social instinct succeeds the nomadic instinct. The camp gives place to the city, the tent to the place, the ark to the temple. The chiefs of these nascent states are still shepherds, it is true, but shepherds of nations; the pastoral staff has already assumed the shape of a sceptre. Everything tends to become stationary and fixed. Religion takes on a definite shape; prayer is governed by rites; dogma sets bounds to worship. Thus the priest and king share the paternity of the people; thus theocratic society succeeds the patriarchal community. Meanwhile the nations are beginning to be packed too closely on the earth’s surface. They annoy and jostle one another; hence the clash of empires—war. They overflow upon another; hence, the migrations of nations—voyages. Poetry reflects these momentous events; from ideas it proceeds to things. It sings of ages, of nations, of empires. It becomes epic, it gives birth to Homer. Homer, in truth, dominates the society of ancient times. In that society, all is simple, all is epic. Poetry is religion, religion is law. The virginity of the earlier age is succeeded by the chastity of the later. A sort of solemn gravity is everywhere noticeable, in private manners no less than in public. The nations have retained nothing of the wandering life of the earlier time, save respect for the stranger and the traveller. The family has a fatherland; everything is connected therewith; it has the cult of the house and the cult of the tomb. We say again, such a civilization can find its one expression only in the epic. The epic will assume diverse forms, but will never lose its specific character. Pindar is more priestlike than patriarchal, more epic than lyrical. If the chroniclers, the necessary accompaniments of this second age of the world, set about collecting traditions and begin to reckon by centuries, they labour to no purpose—chronology cannot expel poesy; history remains an epic. Herodotus is a Homer. But it is in the ancient tragedy, above all, that the epic breaks out at every turn. It mounts the Greek stage without losing aught, so to speak, of its immeasurable, gigantic proportions. Its characters are still heroes, demi-gods, gods; its themes are visions, oracles, fatality; its scenes are battles, funeral rites, catalogues. That which the rhapsodists formerly sang, the actors declaim—that is the whole difference. There is something more. When the whole plot, the whole spectacle of the epic poem have passed to the stage, the Chorus takes all that remains. The Chorus annotates the tragedy, encourages the heroes, gives descriptions, summons and expels the daylight, rejoices, laments, sometimes furnishes the scenery, explains the moral bearing of the subject, flatters the listening assemblage. Now, what is the Chorus, this anomalous character standing between the spectacle and the spectator, if it be not the poet completing his epic? The theatre of the ancients is, like their dramas, huge, pontifical, epic. It is capable of holding thirty thousand spectators; the plays are given in the open air, in bright sunlight; the performances last all day. The actors disguise their voices, wear masks, increase their stature; they make themselves gigantic, like their rôles. The stage is immense. It may represent at the same moment both the interior and the exterior of a temple, a palace, a camp, a city. Upon it, vast spectacles are displayed. There is—we cite only from memory—Prometheus on his mountain; there is Antigone, at the top of a tower, seeking her brother Polynices in the hostile army (The Phœnicians); there is Evadne hurling herself from a cliff into the flames where the body of Capaneus is burning (The Suppliants of Euripides); there is a ship sailing into port and landing fifty princesses with their retinues (The Suppliants of Æschylus). Architecture, poetry, everything assumes a monumental character. In all antiquity there is nothing more solemn, more majestic. Its history and its religion are mingled on its stage. Its first actors are priests; its scenic performances are religious ceremonies, national festivals. One last observation, which completes our demonstration of the epic character of this epoch: in the subjects which it treats, no less than in the forms it adopts, tragedy simply re-echoes the epic. All the ancient tragic authors derive their plots from Homer. The same fabulous exploits, the same catastrophes, the same heroes. One and all drink from the Homeric stream. The Iliad and Odyssey are always in evidence. Like Achilles dragging Hector at his chariot-wheel, the Greek tragedy circles about Troy. But the age of the epic draws near its end. Like the society that it represents, this form of poetry wears itself out revolving upon itself. Rome reproduces Greece, Virgil copies Homer, and, as if to make a becoming end, epic poetry expires in the last parturition. It was time. Another era is about to begin, for the world and for poetry. A spiritual religion, supplanting the material and external paganism, makes its way to the heart of the ancient society, kills it, and deposits, in that corpse of a decrepit civilization, the germ of modern civilization. This religion is complete, because it is true; between its dogma and its cult, it embraces a deep-rooted moral. and first of all, as a fundamental truth, it teaches man that he has two lives to live, one ephemeral, the other immortal; one on earth, the other in heaven. It shows him that he, like his destiny, is twofold: that there is in him an animal and an intellect, a body and a soul; in a word, that he is the point of intersection, the common link of the two chains of beings which embrace all creation—of the chain of material beings and the chain of incorporeal beings; the first starting from the rock to arrive at man, the second starting from man to end at God. A portion of these truths had perhaps been suspected by certain wise men of ancient times, but their full, broad, luminous revelation dates from the Gospels. The pagan schools walked in darkness, feeling their way, clinging to falsehoods as well as to truths in their haphazard journeying. Some of their philosophers occasionally cast upon certain subjects feeble gleams which illuminated but one side and made the darkness of the other side more profound. Hence all the phantoms created by ancient philosophy. None but divine wisdom was capable of substituting an even and all-embracing light for all those flickering rays of human wisdom. Pythagoras, Epicurus, Socrates, Plato, are torches: Christ is the glorious light of day. Nothing could be more material, indeed, than the ancient theogony. Far from proposing, as Christianity does, to separate the spirit from the body, it ascribes form and features to everything, even to impalpable essences, even to the intelligence. In it everything is visible, tangible, fleshly. Its gods need a cloud to conceal themselves from men’s eyes. They eat, drink, and sleep. They are wounded and their blood flows; they are maimed, and lo! they limp forever after. That religion has gods and halves of gods. Its thunderbolts are forged on an anvil, and among other things three rays of twisted rain (tres imbris torti radios) enter into their composition. Its Jupiter suspends the world by a golden chain; its sun rides in a four-horse chariot; its hell is a precipice the brink of which is marked on the globe; its heaven is a mountain. Thus paganism, which moulded all creations from the same clay, minimizes divinity and magnifies man. Homer’s heroes are of almost the same stature as his gods. Ajax defies Jupiter, Achilles is the peer of Mars. Christianity on the contrary, as we have seen, draws a broad line of division between spirit and matter. It places an abyss between the soul and the body, an abyss between man and God. At this point—to omit nothing from the sketch upon which we have ventured—we will call attention to the fact that, with Christianity, and by its means, there entered into the mind of the nations a new sentiment, unknown to the ancients and marvellously developed among moderns, a sentiment which is more than gravity and less than sadness—melancholy. In truth, might not the heart of man, hitherto deadened by religions purely hierarchical and sacerdotal, awake and feel springing to life within it some unexpected faculty, under the breath of a religion that is human because it is divine, a religion which makes of the poor man’s prayer, the rich man’s wealth, religion of equality, liberty and charity? Might it not see all things in a new light, since the Gospel had shown it the soul through the senses, eternity behind life? Moreover, at that very moment the world was undergoing so complete a revolution that it was impossible that there should not be a revolution in men’s minds. Hitherto the catastrophes of empires had rarely reached the hearts of the people; it was kings who fell, majesties that vanished, nothing more. The lightning struck only in the upper regions, and, as we have already pointed out, events seemed to succeed one another with all the solemnity of the epic. In the ancient society, the individual occupied so lowly a place that, to strike him, adversity must needs descend to his family. So that he knew little of misfortune outside of domestic sorrows. It was an almost unheard-of thing that the general disasters of the state should disarrange his life. But the instant that Christian society became firmly established, the ancient continent was thrown into confusion. Everything was pulled up by the roots. Events, destined to destroy ancient Europe and to construct a new Europe, trod upon one another’s heels in their ceaseless rush, and drove the nations pellmell, some into the light, others into darkness. So much uproar ensued that it was impossible that some echoes of it should not reach the hearts of the people. It was more than an echo, it was a reflex blow. Man, withdrawing within himself in presence of these imposing vicissitudes, began to take pity upon mankind, to reflect upon the bitter disillusionments of life. of this sentiment, which to Cato the heathen was despair, Christianity fashioned melancholy. Thus we see melancholy and meditation, the demons of analysis and controversy, appear at the same moment, and, as it were, hand-in-hand. At one extremity of this era of transition is Longinus, at the other St. Augustine. We must beware of casting a disdainful eye upon that epoch wherein all that has since borne fruit was contained in germs; upon that epoch whose least eminent writers, if we may be pardoned a vulgar but expressive phrase, made fertilizer for the harvest that was to follow. The Middle Ages were grafted on the Lower Empire. Behold, then, a new religion, a new society; upon this twofold foundation there must inevitably spring up a new poetry. Previously—we beg pardon for setting forth a result which the reader has probably already foreseen from what has been said above—previously, following therein the course pursued by the ancient polytheism and philosophy, the purely epic muse of the ancients had studied nature in only a single aspect, casting aside without pity almost everything in art which, in the world subjected to its imitation, had not relation to a certain type of beauty. A type which was magnificent at first, but, as always happens with everything systematic, became in later times false, trivial and conventional. Christianity leads poetry to the truth. Like it, the modern muse will see things in a higher and broader light. It will realize that everything in creation is not humanly beautiful, that the ugly exists beside the beautiful, the unshapely beside the graceful, the grotesque on the reverse of the sublime, evil with good, darkness with light. It will ask itself if the narrow and relative sense of the artist should prevail over the infinite, absolute sense of the Creator; if it is for man to correct God; if a mutilated nature will be the more beautiful for the mutilation; if art has the right to duplicate, so to speak, man, life, creation; if things will progress better when their muscles and their vigour have been taken from them; if, in short, to be incomplete is the best way to be harmonious. Then it is that, with its eyes fixed upon events that are both laughable and redoubtable, and under the influence of that spirit of Christian melancholy and philosophical criticism which we described a moment ago, poetry will take a great step, a decisive step, a step which, like the upheaval of an earthquake, will change the whole face of the intellectual world. It will set about doing as nature does, mingling in its creations—but without confounding them—darkness and light, the grotesque and the sublime; in other words, the body and the soul, the beast and the intellect; for the starting-point of religion is always the starting-point of poetry. All things are connected. Thus, then, we see a principle unknown to the ancients, a new type, introduced in poetry; and as an additional element in anything modifies the whole of the thing, a new form of the art is developed. This type is the grotesque; its new form is comedy. And we beg leave to dwell upon this point; for we have now indicated the significant feature, the fundamental difference which, in our opinion, separates modern from ancient art, the present form from the defunct form; or, to use less definite but more popular terms,romantic literature from classical literature. These arguments are sound, doubtless, and, above all, of extraordinary novelty. But it is not our place to reply to them. We are constructing no system here—God protect us from systems! We are stating a fact. We are a historian, not a critic. Whether the fact is agreeable or not matters little; it is a fact. Let us resume, therefore, and try to prove that it is of the fruitful union of the grotesque and the sublime types that modern genius is born—so complex, so diverse in its forms, so inexhaustible in its creations; and therein directly opposed to the uniform simplicity of the genius of the ancients; let us show that that is the point from which we must set out to establish the real and radical difference between the two forms of literature. Not that it is strictly true that comedy and the grotesque were entirely unknown to the ancients. In fact, such a thing would be impossible. Nothing grows without a root; the germ of the second epoch always exists in the first. In the Iliad Thersites and Vulcan furnish comedy, one to the mortals, the other to the gods. There is too much nature and originality in the Greek tragedy for there not to be an occasional touch of comedy in it. For example, to cite only what we happen to recall, the scene between Menelaus and the portress of the palace. (Helen, Act I), and the scene of the Phrygian (Orestes, Act IV). The Tritons, the Satyrs, the Cyclops are grotesque; Polyphemus is a terrifying, Silenus a farcical grotesque. But one feels that this part of the art is still in its infancy. The epic, which at this period imposes its form on everything, the epic weighs heavily upon it and stifles it. The ancient grotesque is timid and forever trying to keep out of sight. It is plain that it is not on familiar ground, because it is not in its natural surroundings. It conceals itself as much as it can. The Satyrs, the Tritons, and the Sirens are hardly abnormal in form. The Fates and the Harpies are hideous in their attributes rather than in feature; the Furies are beautiful, and are calledEumenides, that is to say, gentle, beneficent. There is a veil of grandeur or of divinity over other grotesques. Polyphemus is a giant, Midas a king, Silenus a god. Thus comedy is almost imperceptible in the great epic ensemble of ancient times. What is the barrow of Thespis beside the Olympian chariots? What are Aristophanes and Plautus, beside the Homeric colossi, Æschylus, Sophocles, Euripides? Homer bears them along with him, as Hercules bore the pygmies, hidden in his lion’s skin! In the idea of men of modern times, however, the grotesque plays an enormous part. It is found everywhere; on the one hand it creates the abnormal and the horrible, on the other the comic and the burlesque. It fastens upon religion a thousand original superstitions, upon poetry a thousand picturesque fancies. It is the grotesque which scatters lavishly, in air, water, earth, fire, those myriads of intermediary creatures which we find all alive in the popular traditions of the Middle Ages; it is the grotesque which impels the ghastly antics of the witches’ revels, which gives Satan his horns, his cloven foot and his bat’s wings. It is the grotesque, still the grotesque, which now casts into the Christian hell the frightful faces which the severe genius of Dante and Milton will evoke, and again peoples it with those laughter-moving figures amid which Callot, the burlesque Michelangelo, will disport himself. If it passes from the world of imagination to the real world, it unfolds an inexhaustible supply of parodies of mankind. Creations of its fantasy are the Scaramouches, Crispins and Harlequins, grinning silhouettes of man, types altogether unknown to serious-minded antiquity, although they originated in classic Italy. It is the grotesque, lastly, which, colouring the same drama with the fancies of the North and of the South in turn, exhibits Sganarelle capering about Don Juan and Mephistopheles crawling about Faust. And how free and open it is in its bearing! how boldly it brings into relief all the strange forms which the preceding age had timidly wrapped in swaddling-clothes! Ancient poetry, compelled to provide the lame Vulcan with companions, tried to disguise their deformity by distributing it, so to speak, upon gigantic proportions. Modern genius retains this myth of the supernatural smiths, but gives it an entirely different character and one which makes it even more striking; it changes the giants to dwarfs and makes gnomes of the Cyclops. With like originality, it substitutes for the somewhat commonplace Lernæan hydra all the local dragons of our national legends—the gargoyle of Rouen, the gra-ouilli of Metz, thechair sallée of Troyes, the drée of Montlhéry, the tarasque of Tarascon—monsters of forms so diverse, whose outlandish names are an additional attribute. All these creations draw from their own nature that energetic and significant expression before which antiquity seems sometimes to have recoiled. Certain it is that the Greek Eumenides are much less horrible, and consequently less true, than the witches in Macbeth. Pluto is not the devil. In our opinion a most novel book might be written upon the employment of the grotesque in the arts. One might point out the powerful effects the moderns have obtained from that fruitful type, upon which narrow-minded criticism continues to wage war even in our own day. It may be that we shall be led by our subject to call attention in passing to some features of this vast picture. We will simply say here that, as a means of contrast with the sublime, the grotesque is, in our view, the richest source that nature can offer art. Rubens so understood it, doubtless, when it pleased him to introduce the hideous features of a court dwarf amid his exhibitions of royal magnificence, coronations and splendid ceremonial. The universal beauty which the ancients solemnly laid upon everything, is not without monotony; the same impression repeated again and again may prove fatiguing at last. Sublime upon sublime scarcely presents a contrast, and we need a little rest from everything, even the beautiful. On the other hand, the grotesque seems to be a halting-place, a mean term, a starting-point whence one rises toward the beautiful with a fresher and keener perception. The salamander gives relief to the water-sprite; the gnome heightens the charm of the sylph. Note 1. Victor Hugo (1802–1885) the chief of the romantic school in France, issued in the Preface to “Cromwell” the manifesto of the movement. 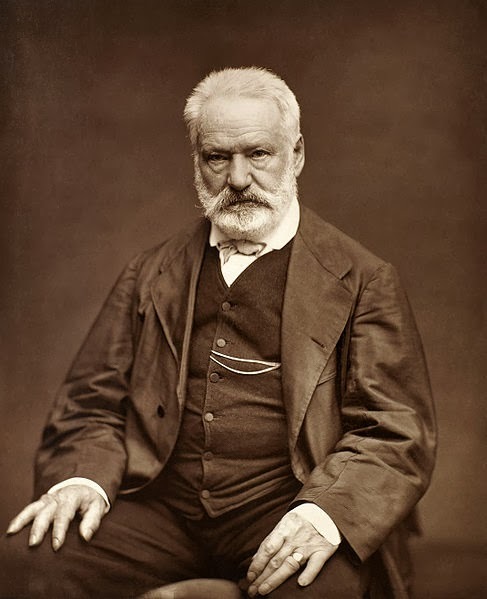 Poet, dramatist, and novelist, Hugo remained through a long life the most conspicuous man of letters in France; and in the document here printed he laid down the principles which revolutionized the literary world of his time.